Note: The text of this post became an OPED piece distributed by the Bay Journal News Service on 10/17/2017. Click here to view or download the pdf of the article. The Clean Water Act is 45 years old this week, born in the U.S. Congress on October 18, 1972. Sometime before this day, the river of my childhood – the Roanoke River in southwestern Virginia – had been declared a fire hazard because of pollution. As the boat began pulling me forward, I saw banana peels and “floaters” – human waste – drifting past. I was ten years old, and it gave me the heebie-jeebies. “Hit it,” I shouted, now doubly motivated to get up and out of the water. America now has perhaps the best wastewater treatment in the world. All industries and municipalities that discharge pollution into U. S. waters must have permits to do so. They cannot exceed their allocation of pollution. It’s regulation that works. It was not easy getting to this point. There was much gnashing of teeth, whining, litigation and political feuds, but all “point” sources of pollution (coming out of a pipe) in this country are now regulated. For good reason. And now we’ve turned our attention to the far more complex problem of “non-point” source water pollution. It finds its way into rivers and streams from virtually everywhere. It comes from stormwater runoff from roads, roofs, parking lots, over-fertilized lawns and golf courses, from pesticides, herbicides and malfunctioning septic fields, from bare ground, heavily fertilized crops, over-grazed pastures, livestock waste and all sorts of other human and natural activities. 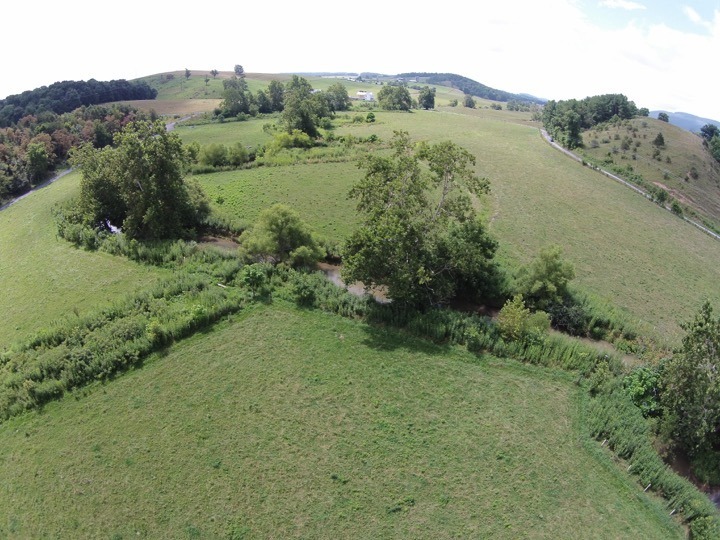 Riparian buffers along the Middle River on one of our farms. We enrolled in two programs that helped us install fencing, alternative livestock watering facilities, and wildlife habitat. Before my first successful water ski on that polluted lake, there was no Chesapeake Bay Foundation (DOB 1967), There was no Earth Day (DOB 4/22/70), or EPA (DOB 12/2/70), and there were precious few scientists specializing in water quality or the effects of nutrient-choked water on the aquatic plants and animals. The terms “non-point” source water pollution, “watershed restoration” “greenways”, and “blueways” had yet to enter the common vernacular. The Clean Water Act gave us a roadmap for responsible land use, and today our streams, rivers, lakes, and estuaries are measurably cleaner than they were in the 1960’s. This despite the fact that we’ve added over 100 million people to our population. The Chesapeake Watershed alone is home to more than 18 million people, and that number is expected to hit 20 million by 2030. Given those disadvantages, the progress is pretty impressive. We’ve done this by using the law, sound science, strong partnerships, outdoor education, advocacy, incentives, consequences for blatant polluters and litigation – all enabled by the Clean Water Act and driven by people and organizations that believe clean water is good for all. 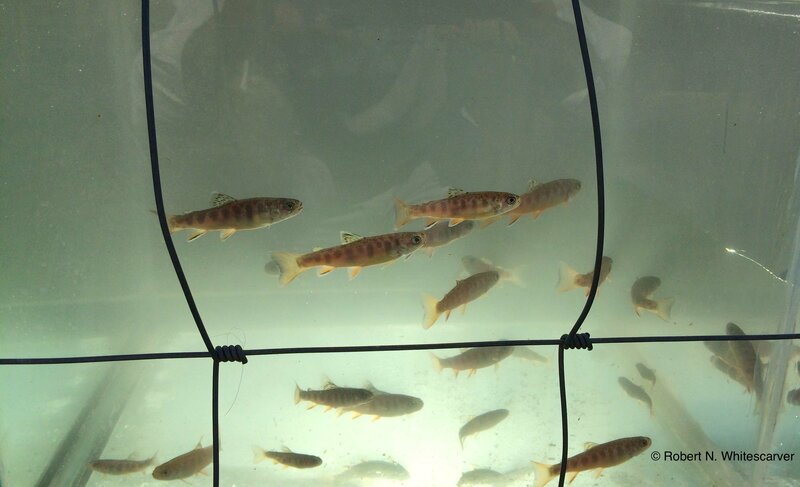 Native Brook Trout in a tank ready for release into Poague Run. The tank was on the other side of the fence that keeps the cows out of the stream. Poague Run is now fully restored and is stocked with native Book Trout. We are moving forward for cleaner water and we can celebrate major achievements. Such as a freshwater stream once again supporting Brook Trout, or a wastewater treatment plant discharging cleaner water than the stream it dumps into. The Chesapeake Bay, America’s largest estuary, had no dead zones last year…the first time since the sixties. Think of all the cities and towns that now have walkways along their rivers or streams because of cleaner water. In Virginia alone, we have Alexandria, Richmond, Strasburg, Lexington, Luray, Waynesboro, and many more. Think of all the jobs created by our desire for cleaner water: nurseries growing trees and shrubs for stream buffers, for example, or contractors hired to build fences to keep cows out of streams. One company in Waynesboro, Virginia, Conservation Services, supplies the entire North American continent with tree shelters. The benefits of clean water are immeasurable, more recreation, more seafood, healthier livestock and a stronger economy. As they say, a high tide raises all ships. But there are now torpedoes of ignorance, greed, and science denial in the water – launched by the Trump administration, and aimed at the fundamental environmental laws that have gotten us so far. I gnash my teeth. They want to “water down” the definition of “Waters of the United States” so that polluters can get away with it and thereby increase their profit margins. 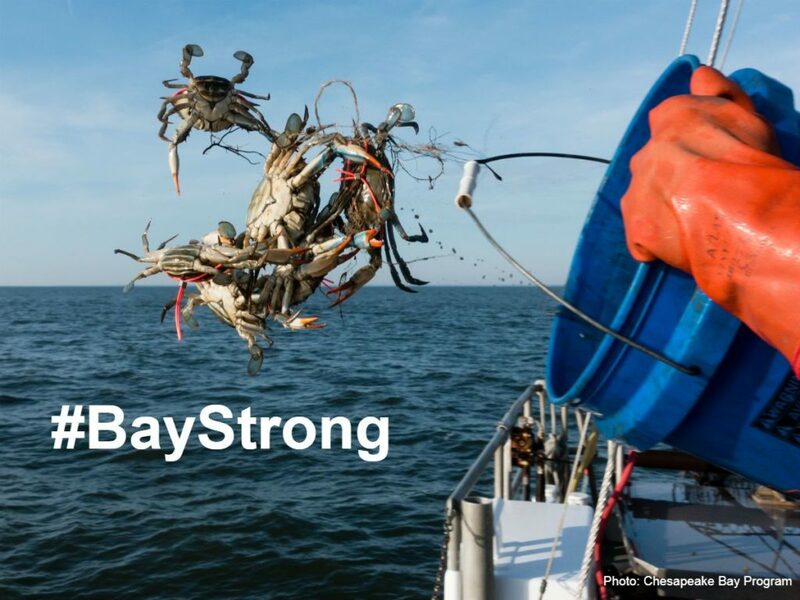 They want to zero out funding for the Chesapeake Bay Program and for clean water initiatives everywhere and seek to discredit scientists and hide or destroy their research. Support the Clean Water Act. Click on this image to see what you can do. 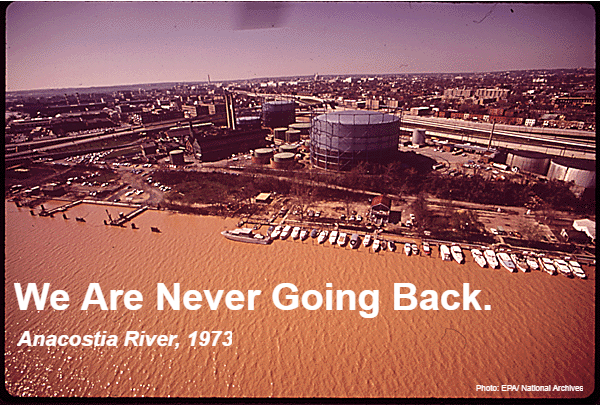 We simply cannot afford to weaken the Clean Water Act; we cannot afford to go back to the filthy water of the 1960s. 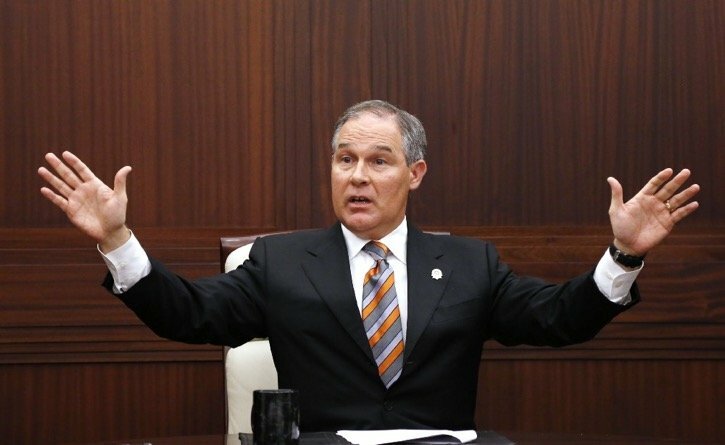 Scott Pruitt was the Attorney General for Oklahoma and sued the EPA thirteen times. He is now the EPA Administrator. The post Torpedoes, Trump and the Clean Water Act at 45 appeared first on Getting More on the Ground.